Outcomes: The book has become a favourite among children, parents and teachers as a great way of looking at Roman Britain. We were invited by author Ben Molyneux to create the cover for the second novel in his young adult time-travelling series. 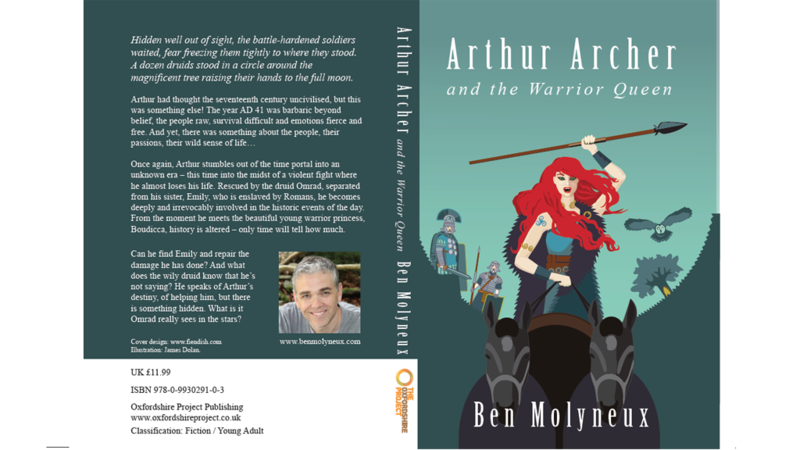 Instead of the eponymous character, already featured on the first book, we settled on Boudica as the focus for the cover as one of the most exciting historical figures.